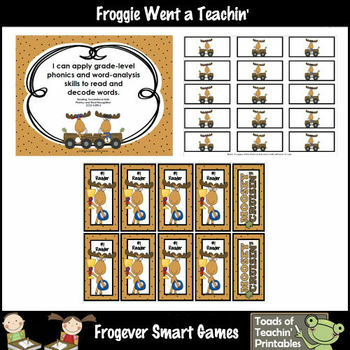 You will receive a 45 page ebook which includes (5) Storage Labels, Directions, (4) I Can Statements (15) Cars, (1) Parking Lot Gameboard, (100) Word Cards programmed with the Third 100 Fry Words, (3) Graphics Credit Pages, Bookmark Awards, and a Thank You Note. 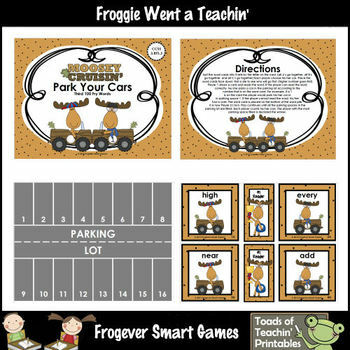 Sure to be a fan favorite in your classroom, especially for the boys. Great for a partner activity and literacy center. I suggest only 2 players per game. 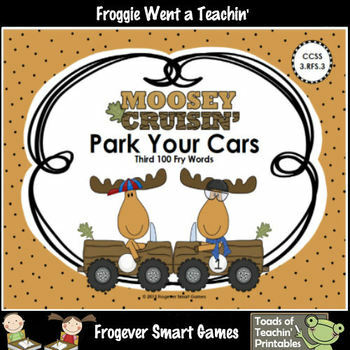 Features adorable Moosey Crusin' Racers by Dana Murray @ Scrappin Doodles.